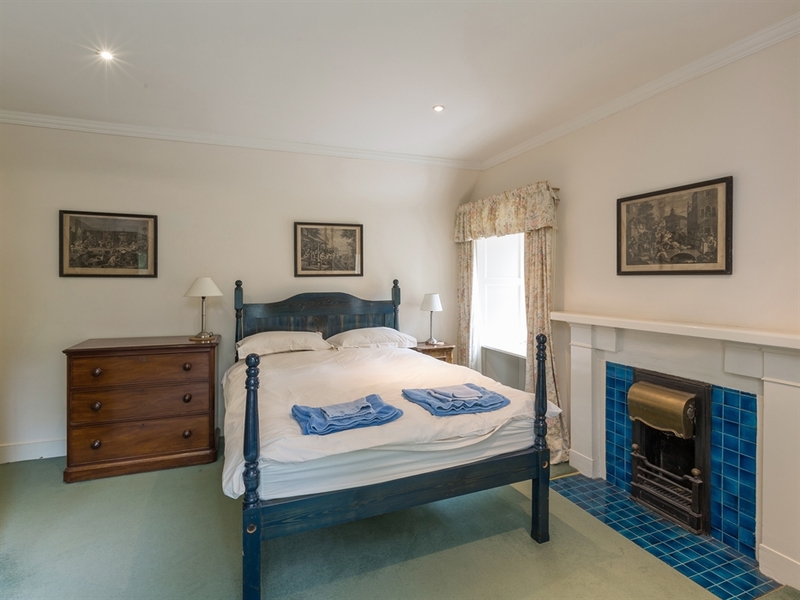 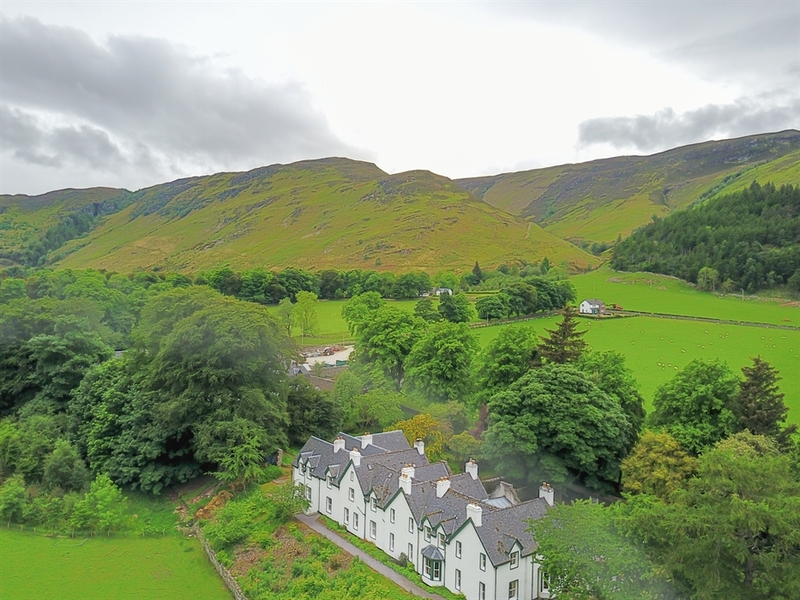 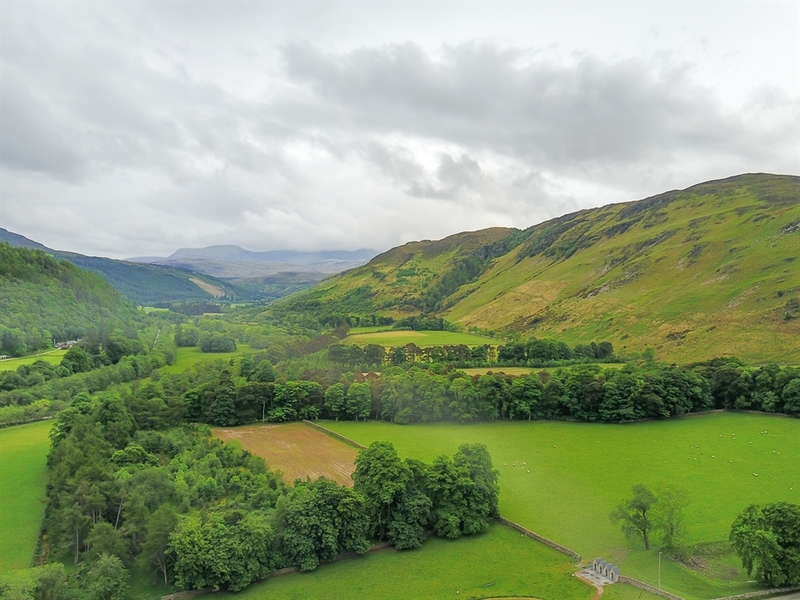 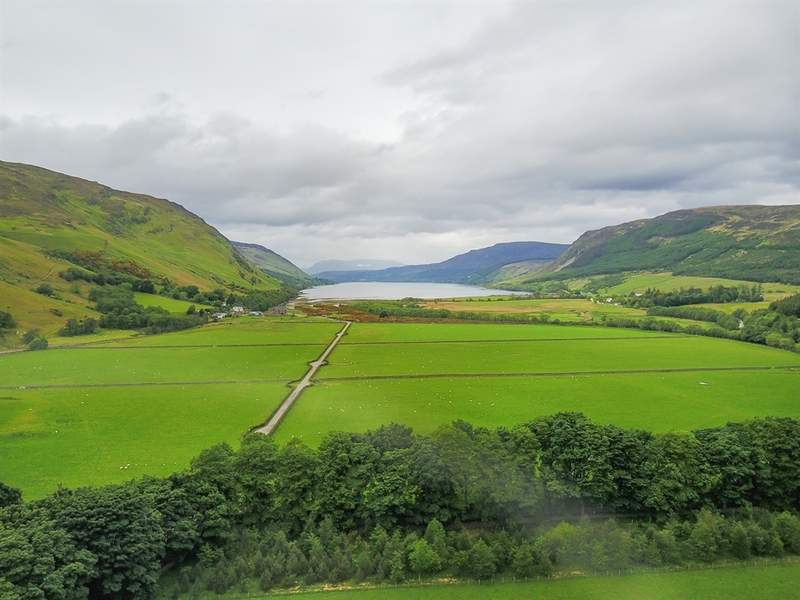 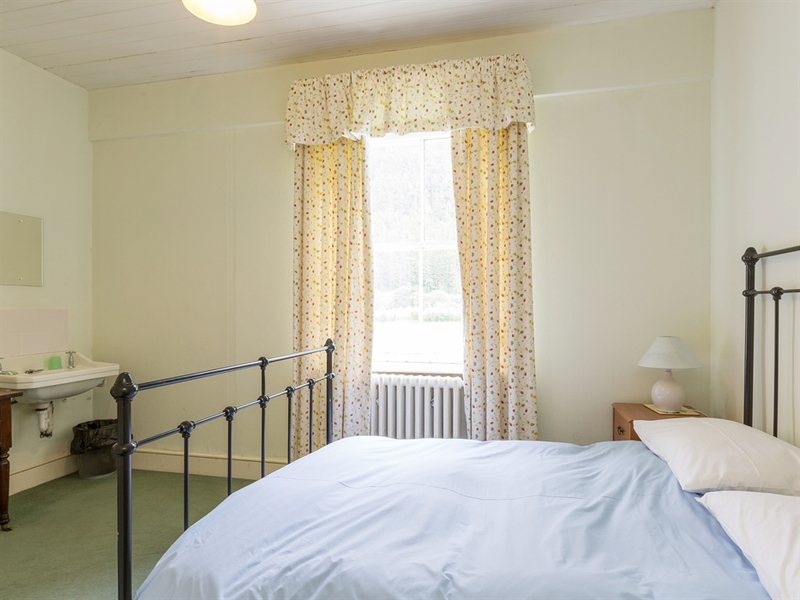 The Victorian Lodge has been carefully modernised and refurbished to create comfortable and stylish self catering holiday accommodation whilst still retaining its traditional atmosphere. 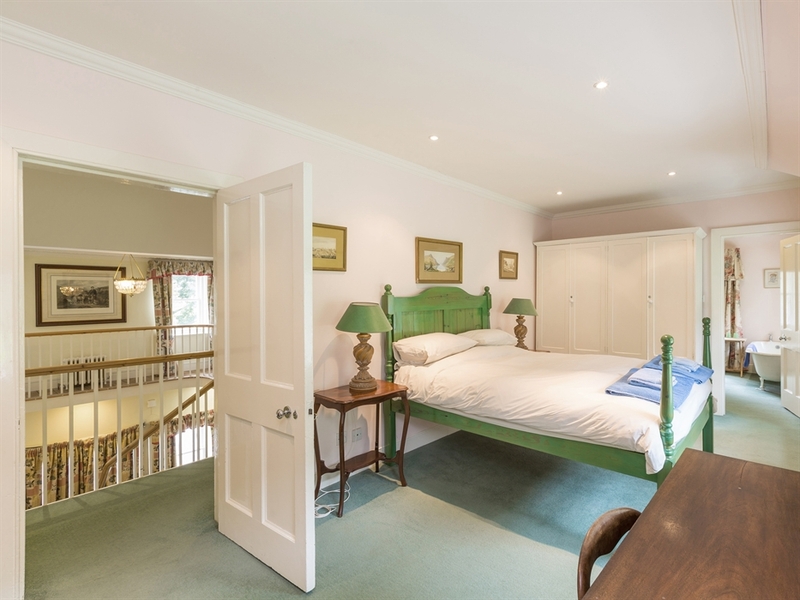 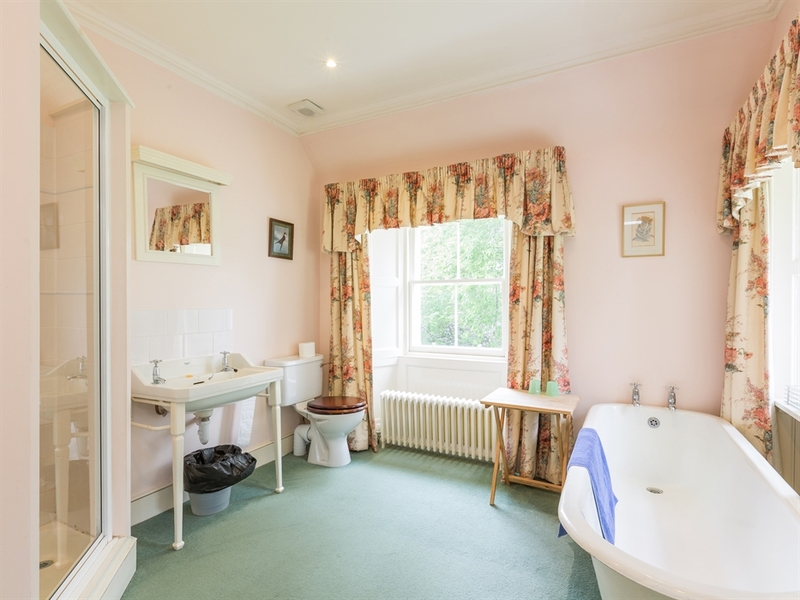 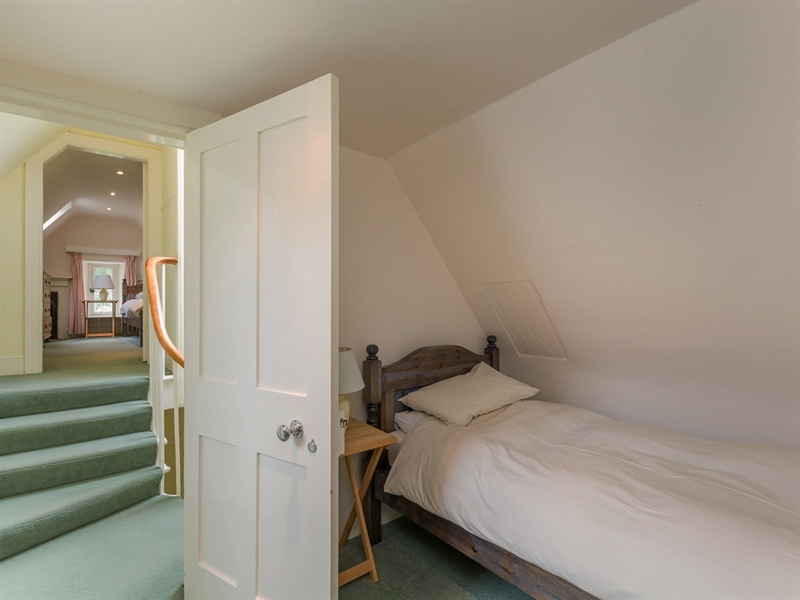 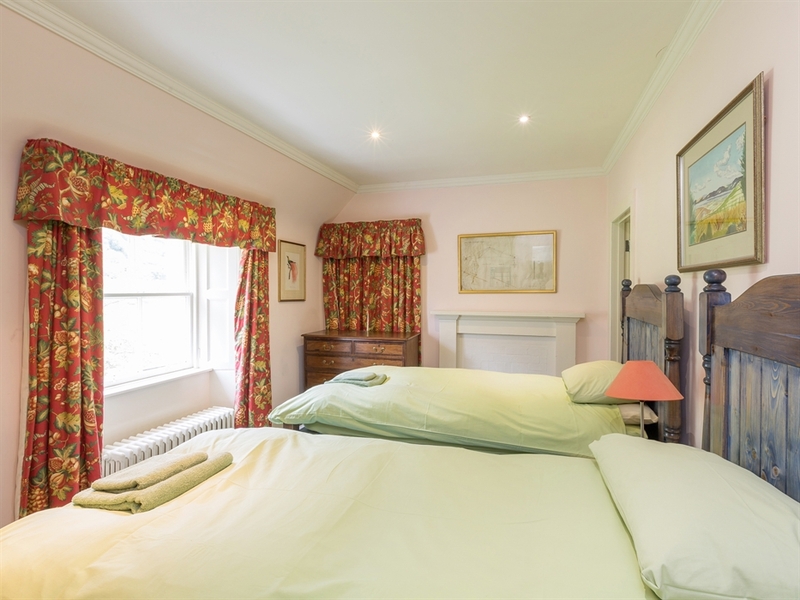 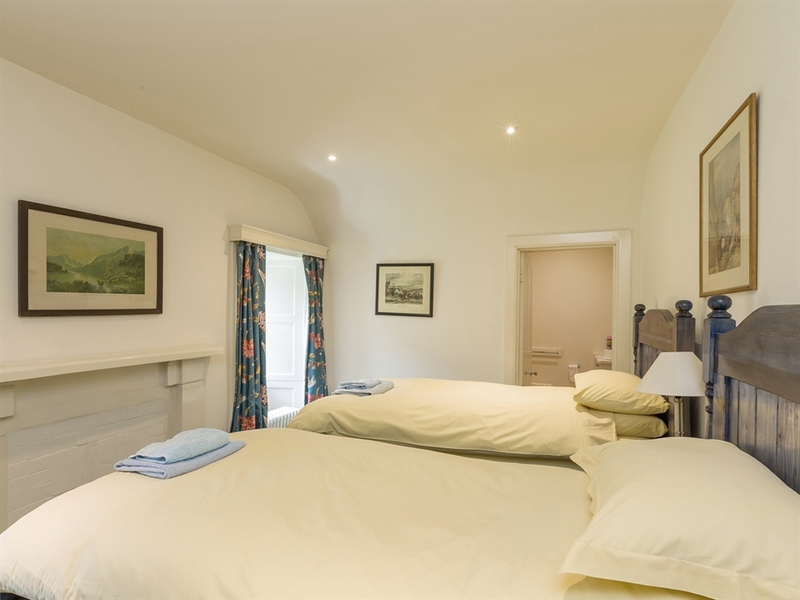 There are abundant bedrooms and extensive bathrooms and shower rooms throughout the property ensuring that all guests are comfortably accommodated. 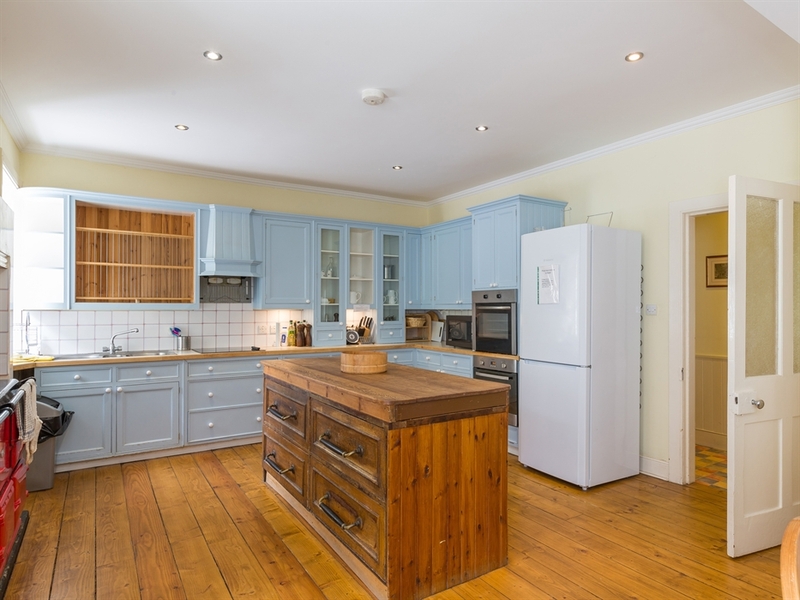 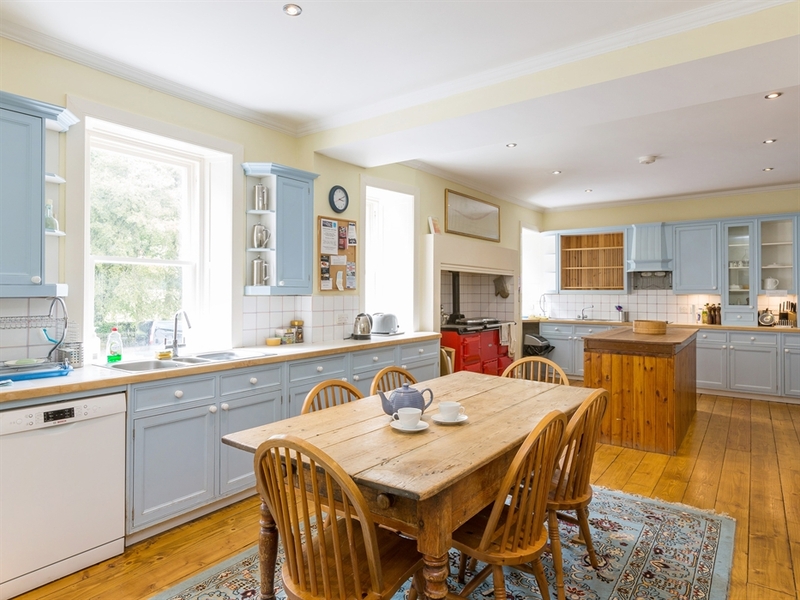 The spacious and well equipped kitchen is a cook’s delight with its pretty blue timber units, Aga and traditional wooden dining table creating a welcoming atmosphere, particularly suitable for informal meals. 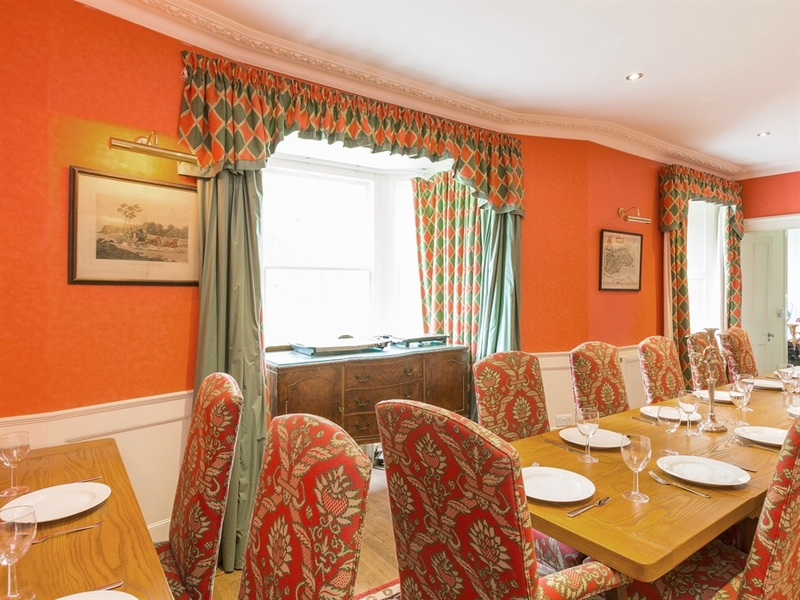 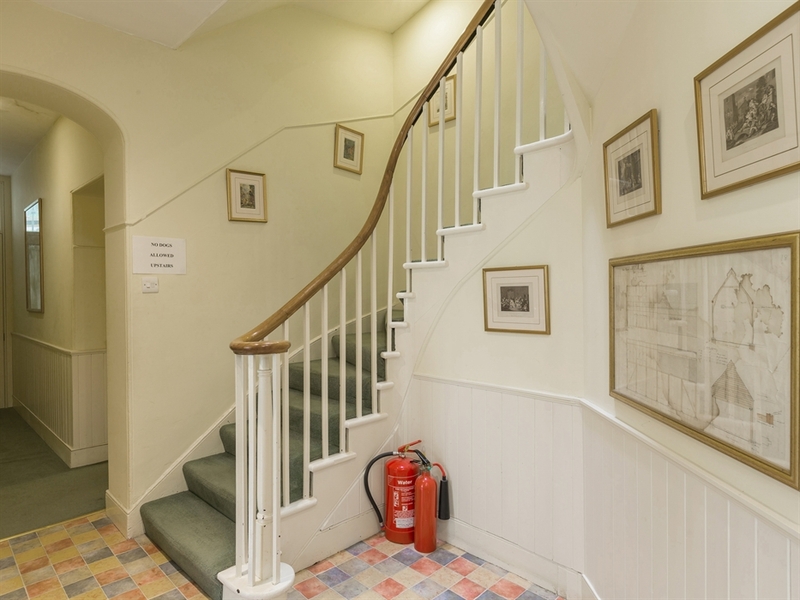 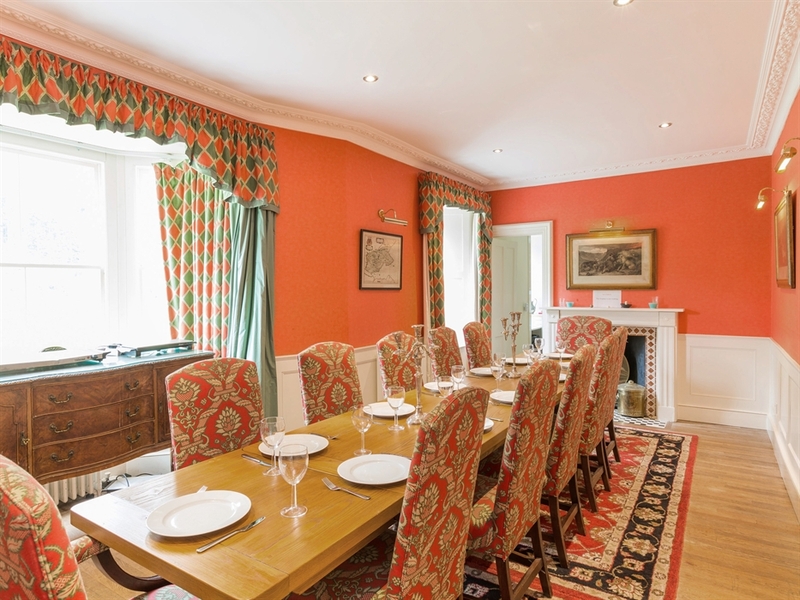 The public rooms are richly and warmly decorated creating a cosy atmosphere in a grand setting. 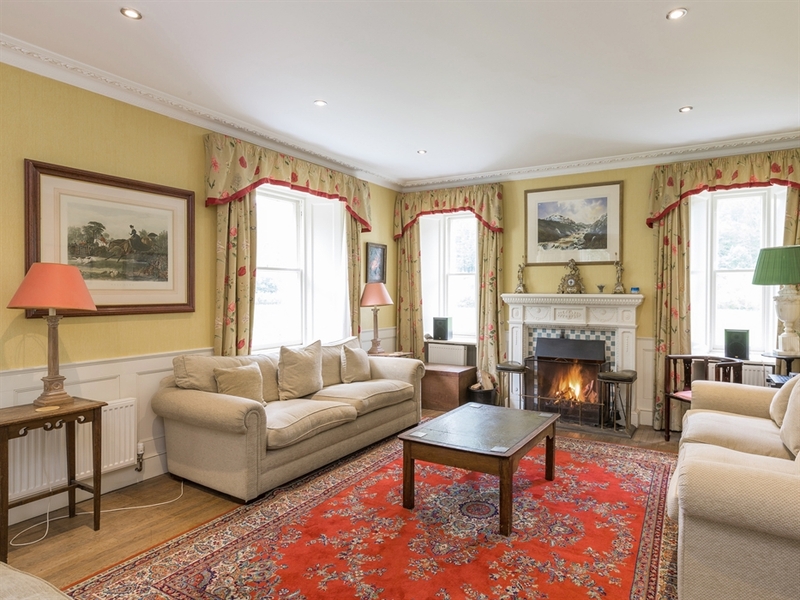 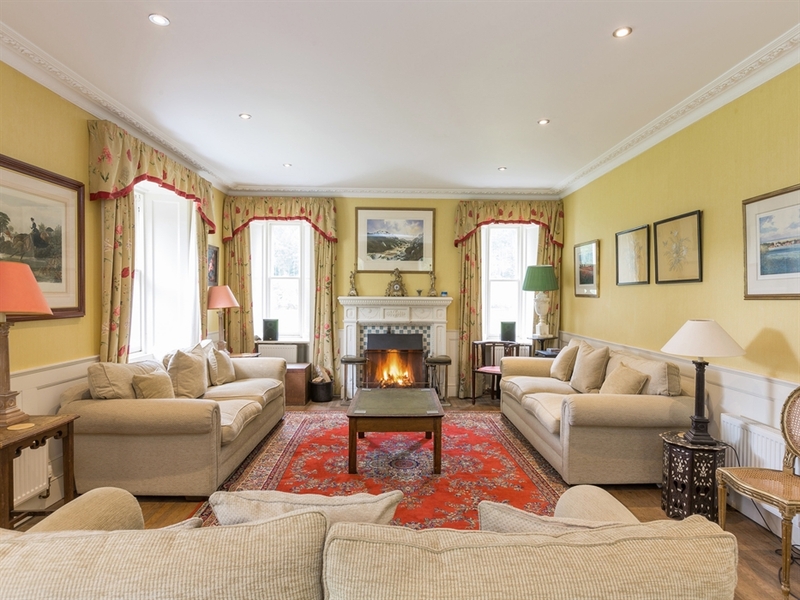 The dining room is perfect for formal suppers or dinner parties and the welcoming sitting room with large sofas and open fire is a delight to relax in after an active day spent outdoors. 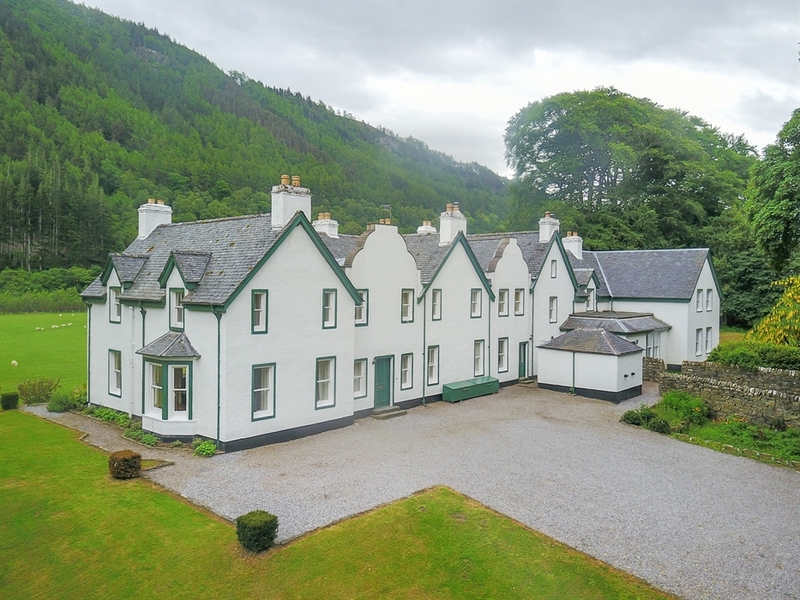 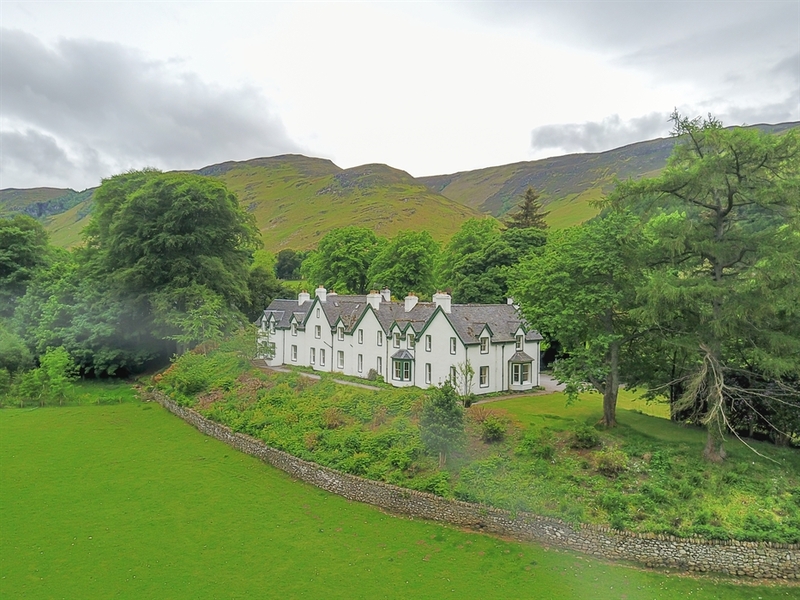 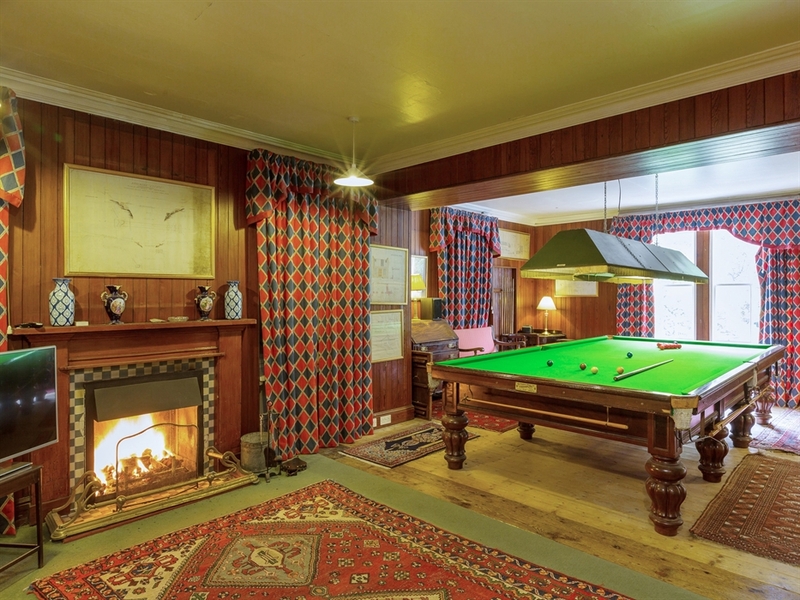 There is plenty of opportunity for relaxation and amusement within this large traditional holiday house. 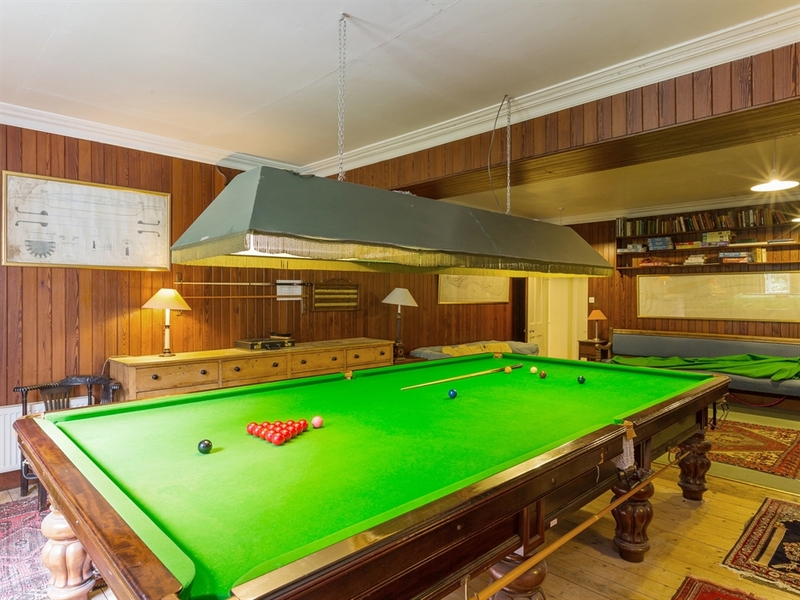 The games room features a billiard table. 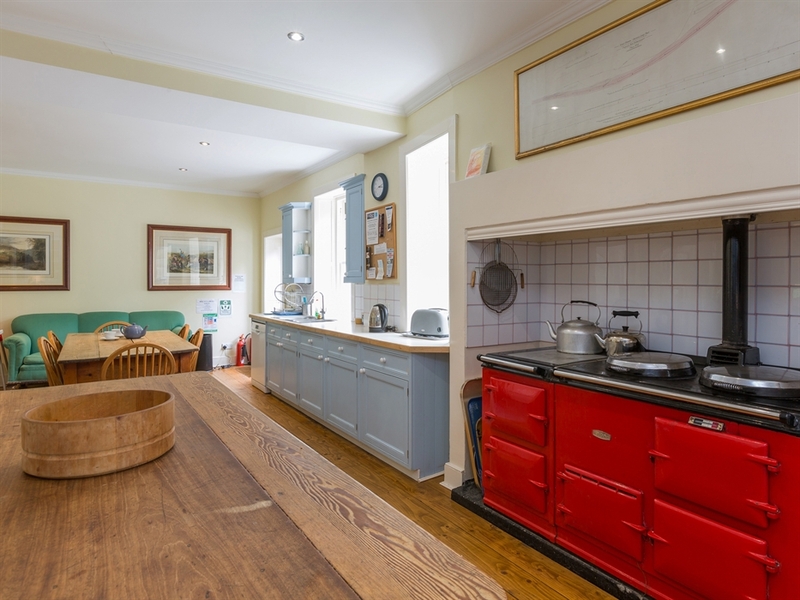 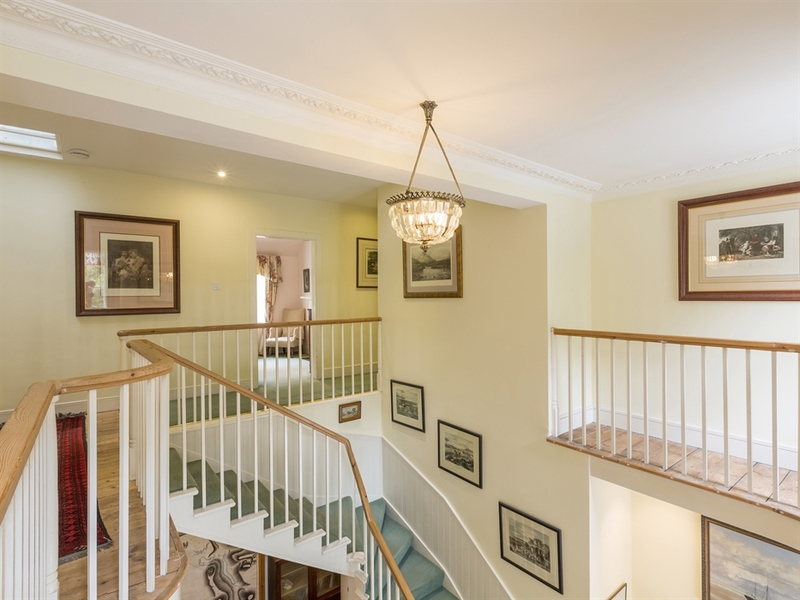 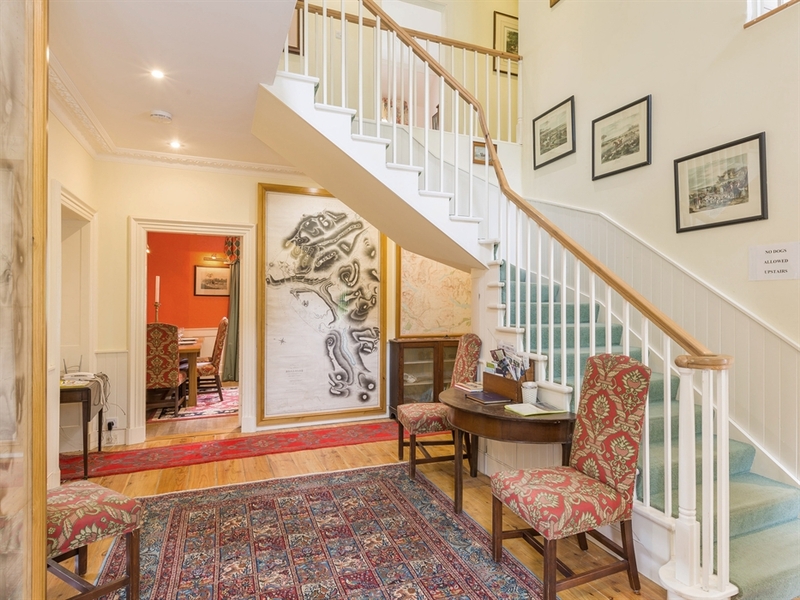 Entrance hall, sitting room, dining room, games room with open fire and billiard table, separate WCs, laundry, modern dining kitchen with Aga, double bedroom for cook, gun room, pantry, drying room. 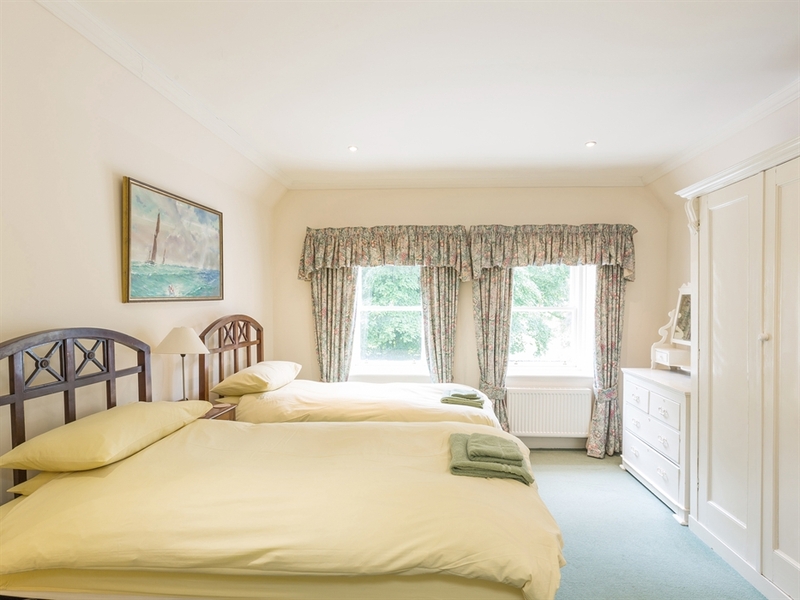 2 en-suite double bedrooms (one with separate shower), 5 twin bedrooms with en-suite bathrooms (baths with shower over), 1 twin bedroom with en-suite shower room, bathroom (bath with shower over, WC & WHB).